BPM (Business Process Management) has been around in concept for many years, even though the term only moved into more general usage recently. In essence, business process management is all about streamlining processes; making them more efficient, more productive, more effective and hence more profitable. Nowadays, BPM refers specifically to the IT-related aspects of process management and improvement, and there is no shortage of software vendors selling BPM solutions with the promise of gains in efficiency, cost-effectiveness and business-oriented visibility and control. Two common images associated with BPM are a business analyst sitting in front of a process flowchart and making changes which then magically get enacted in the operational IT systems, and an executive studying a dashboard display showing real-time status of business operations in terms of key indicator performance. However, in today’s economic downturn a laser-beam focus is required on any investments and associated returns. Business cases that appear strong are being put aside because the benefits will take too long to flow, or the implementation required is too extensive or complex. Risk assessment has come very much to the fore in assessing justifications for new initiatives and projects. 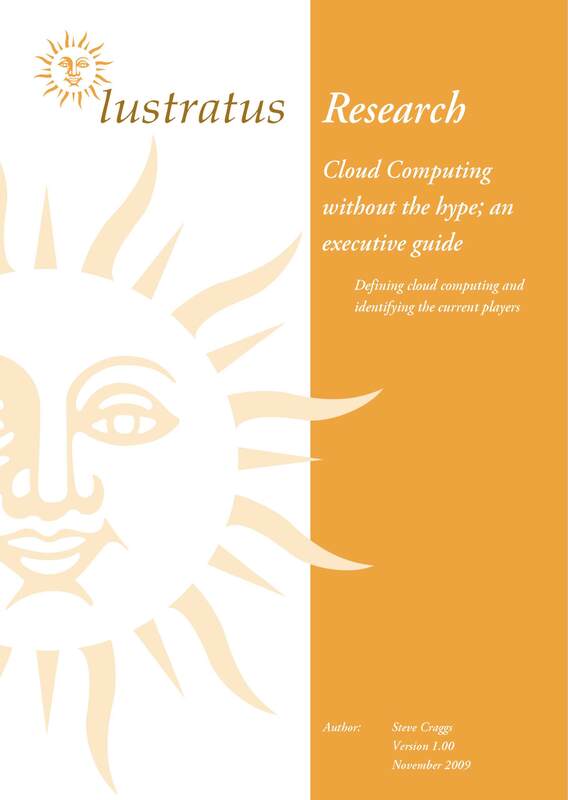 So how should companies that are keen to get the process efficiencies promised by BPM proceed? 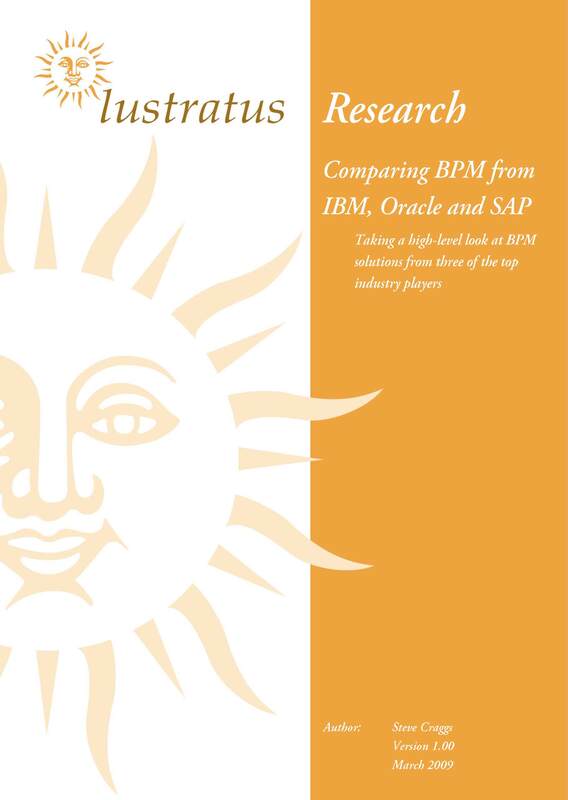 Should BPM be put onto the back burner, to be brought back onto the table when times are better? In fact, BPM can prove a useful tool in responding to the recent economic upheavals. Better process efficiency and automation introduces the possibilities of substantial reductions in the cost base of the business, while increased business agility and service quality improves competitiveness and raises customer service levels. The key question often turns out to be about how to start realizing BPM benefits while remaining within current fiscal and operational constraints. 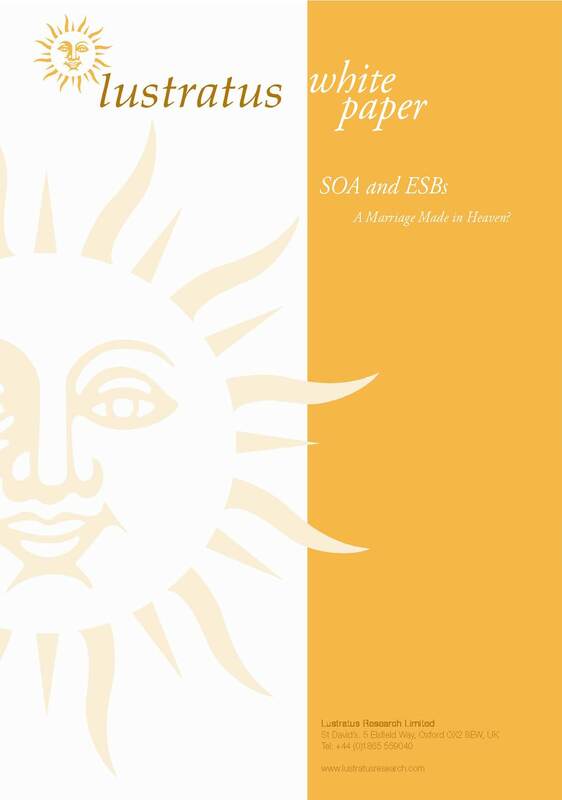 Lustratus has been researching the area of BPM implementations, and has come up with a set of five different scenarios, or ‘Sweet Spots’, that each fit differently within a set of operational priorities – how easy will it be to implement, when will returns start to flow and how big could the potential benefits be. The idea is to try to point users to a BPM approach that will fit best with their own objectives and constraints. 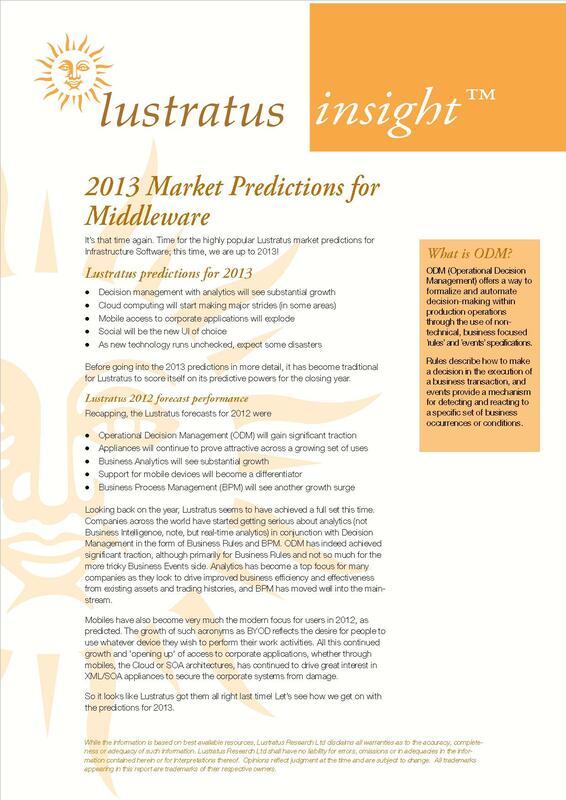 This Lustratus Report takes a different look at the task of justifying investment in Business Process Management (BPM), even in the current economic downturn. 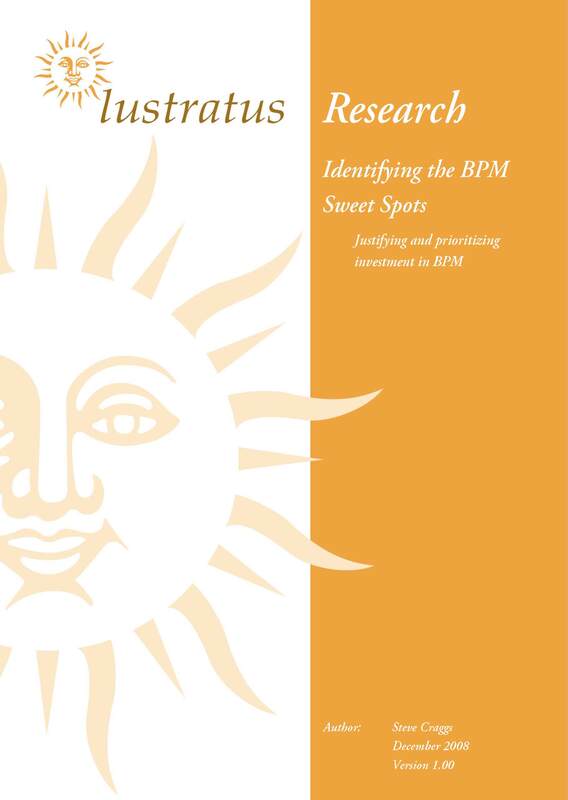 The approach is to identify five different scenarios for BPM deployment – the Lustratus BPM Sweet Spots. Each sweet spot is evaluated in terms of the speed with which it delivers returns, the ease of implementation (in other words, how much resource is needed) and overall benefits likely to accrue. Companies looking at BPM adoption as a way of fending off the impacts of the credit squeeze should find the Lustratus BPM Sweet Spots a useful way of identifying the most suitable approach for their own circumstances.